A customizable code temporarily appears on the attendees screen for them to retype and submit to verify participation in the webinar. A final Report card is delivered providing the results of which attendees successfully submitting the code. Available for both Live Broadcasts and OnDemand Sessions. 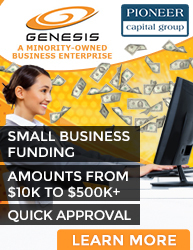 When Genesis partnered with their CE clients to solve an issue that required verification of the training for their attendees, they assigned themselves with the mission to develop a customizable application that would perform random tests to their webinars audience. Soon after introducing the verification code, Genesis created additional features for their CE customers, including administering final exams, automated delivery of certificates, and made GenesisCE features available during webcast and during OnDemand PlayBacks. After completing your online event, are you finding that you still have a lot of work to complete before calling the event a success? Why not allow Genesis to automate not only the follow up emails, but the delivery of certificates confirming attendance and completion of the online event? We can provide you with certificate options, or you can provide your own template, which we will automatically populate with the attendees' information upon completing the event. Simultaneously, we will deliver the certificate information to the host and the accrediting bureau on your behalf. GenesisCE was originally introduced as a solution to the requirements placed upon the CE industry, which required verification of participation during the CE webinar. While many webinar companies can tell you when your participant logged in and out of a web room, they do not meet the standards by which the accrediting body requires proper verification. With GenesisCE, your attendees are periodically required to submit a code into a notification box that appears randomly throughout the presentation. The completion of this application is not only accepted by the accreditation bureau, but has set a new standard in all CE industry webinars. Genesis works hard to provide the best options for the delivery of your content. Following the delivery of your webinar, you may be required to give an exam to your attendees prior to providing them with the CE credit for your event. With Genesis, we automatically administer your exam to the participant, then transfer the results to the host, accrediting bureau or deliver the pass/fail/retake information to the attendee followed by delivering their certificate. Contact one of our sales representatives for complete package. Our conference specialists will walk you through every stage of your event.